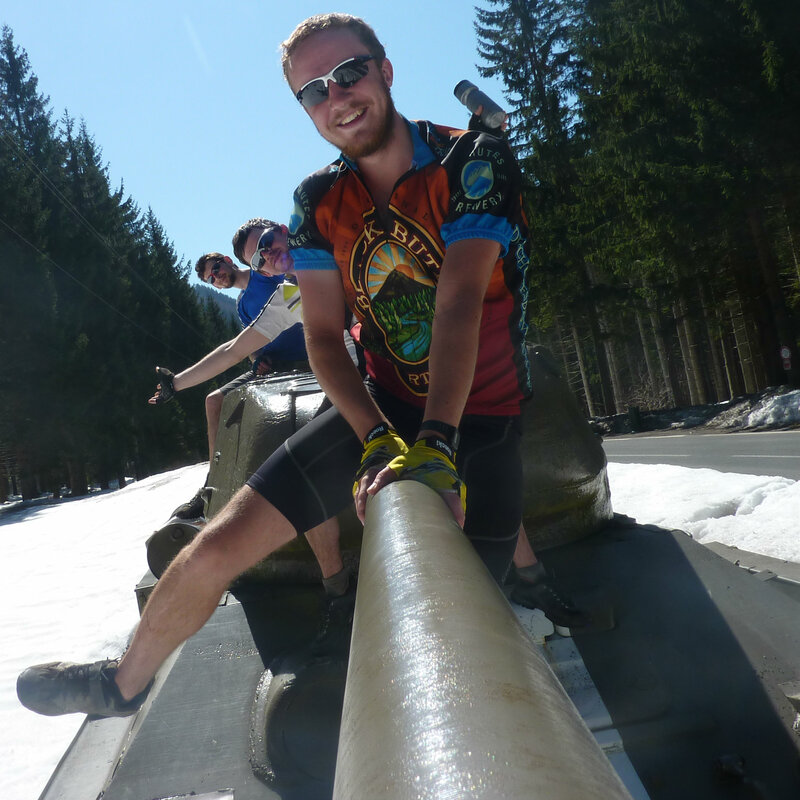 In April 2013, Andrew, Josh and Rob set off, on their bikes, towards Central Asia. They took the ferry from Hull to Rotterdam, before pedalling their way through Europe and parts of Asia, loosely following the route of the ancient Silk Road. Andrew began the trip with the hope of raising money for an orphanage in Tanzania. Please visit the Charity page for more information and to donate. The other two did the trip for pure hedonistic, albeit slightly masochistic, pleasure. This blog kept a record of their five-month journey and has continued in a new form, as a record of Rob’s solo cycling exploits. The initial trip ended in Osh, after 4 months, for Andrew. However, it lasted until Almaty for Josh, and continued until near Bangalore for Rob. After a six month hiatus, Rob returned to the saddle. 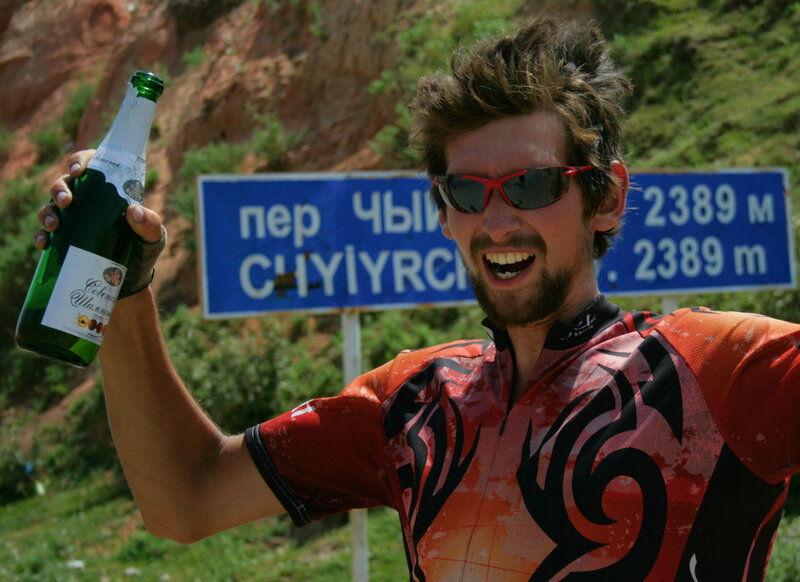 Following a couple of false starts in Almaty, he set off once again from Urumqi, in China. From there, he travelled east, through western China. After a month, he left the Silk Road behind once and for all, flying to Seattle. He then spent more than four months cycling thousands of kilometres through Canada and the United States. The trip finished with three weeks in Cuba, before he flew back to the UK. Check out the updated Route pages to discover more. Examine the route that the group took through Eurasia, as well as Rob’s route through China, Canada, the US and Cuba. This looks great. Do you have a departure date? Foolish it may be, but we are leaving April 1st on a ferry from Hull-Rotterdam. Good to know that all is well-at least in the absence of tales of woe I assume it is so. We’ll have to talk about charity when you get home. Love as ever,granny. How is it going man? I hope you must have reached Agra by now. By the way it’s Sandeep from Mumbai, who had met you @ the Youth Hostel in New Delhi. It was quite intriguing that day to know about your biking experiences all the way from UK to Delhi, and most importantly to know about your modified ‘Sully’ which has crossed countries after countries (and would continue to do so as your journey moves into subsequent stages). Coming to your blog, well I’ve subscribed to it. It’s a great read! Since even I was a freeelance cyclist once upon a time, it would be interesting to know about the further legs of your intercontinental cycling trip. It’s quite sad to know that you got mugged while traveling in the Delhi Metro. You gotta be extra-cautious while traveling through crowded public places and if possible, keep all your valuables inside a small backpack when on the move. £180 is a big sum! However, on the positive side, it’s nice to know that your fellow travelers are rendering you the needed financial support. There would be loads of local touts and guides who would bother you on streets and tourist places but then you gotta turn a deaf ear to them and just continue with your business. As far as possible avoid taking assistance from these guides since they may misguide you, for their own commissionary benefits. For authentic information it’s better you consult other Indian tourists. Wishing you a fun-filled and safe ride ahead. Keep posted about the further course of this transcontinental ride. Great to hear that you enjoyed reading my blog. I hope you didn’t think i was too harsh on India! I’m now in Agra and have really enjoyed all the sights so far. The traffic is crazy, but not too difficult to cope with on a bike. Hopefully, I will write another blog entry in the next few days. Hey Rob, thanks for your wishes and come on, it’s nothing like being harsh or anything on India. It’s a free country and free speech is always appreciated. You have every right to tell about your first-hand experience, whether good or ugly. But then at the end of the maiden visit to this country, I wish you carry with you more of positives than the negatives. Indian conditions are not well suited for long distance cycling. Even if whether does get conducive, the bustling city traffic make it all the more difficult to cycle, especially during the peak hours. Add to that, the road discipline in north India is not something that can be lauded as compared to the south. Hence, better be careful and fully alert the entire length of time you are riding (though concentration level takes a good amount of beating due to fatigue and exhaustion at the end of a long ride like Delhi to Agra). Carry excess of fluids to keep yourself hydrated & as far as possible try avoiding the single carriageways. I just received a notification about your recent post about reaching the town of Gwalior. Well written as the ones before and supplemented with some really eye-catching snaps. Gwalior really seems to be more beautiful than it actually is, in those photos. Thanks for the advice, Sandeep. I had already started to think about going to Mumbai and cycling from there, so I will look into the routes you suggest. Well, being born and brought up in Mumbai and having spent 5 years in Bangalore for pursuing my bachelor’s studies, I am well versed with the roads here. You can count on me as far as planning a route in western or southern India (particularly in the states of Maharashtra and Karnataka) is concerned. Given a chance, I would suggest that you cycle from Mumbai to Gokarna and spend some time downing cans after cans of beer on the scenic beaches of this small yet popular tourist town 🙂 I have come across many European tourists camping on the beaches of Gokarna for like 2 or 3 months at a stretch! The clean beach waters, it’s proximity to Goa, availability of European food and relatively less interference by the locals are some of the reasons why many of them chose to stay there for such a long time. Dude, apart from Mumbai you can also consider starting your ride from Bangalore. The national highway originating from both these cities and connecting Gokarna (NH 4) is a good, wide, dual carriageway for the entire length, and for most of the time you will have a big shoulder lane to ride on. The only pro of riding from Mumbai rather than Bangalore to Gokarna is that this route is quite scenic since it passes through some of the highest mountain ranges in western India. So yes, it involves a lot of climbing. To avoid the climb I would suggest you the reverse route, as in going from Gokarna to Mumbai or Bangalore to Mumbai. The reverse route would infact be a lot easier since it would only involve descents in the ghat sections. Terrain – Steep climb between Mumbai and Pune. Again u gotta climb bw Pune and Kolhapur but not as steep as the previous one. Then all the way from Kolhapur to Gokarna its almost flat, barring a few hillocks which you should be able to negotiate effortlessly. Terrain – Just one word – FLAT as a Cricket pitch! But not as scenic as the above route. If u are willing to cycle a lot then go for Bangalore – Chitradurga – Hubli – Gokarna – Hubli – Kolhapur – Pune – Mumbai. Then from Goa you can goto either of these cities by train or Volvo/Mercedes coaches and take a flight to Thailand. Mumbai is well connected to Goa by both rail and road. Bangalore too is well connected by both, however not as good as Mumbai as far as rail is concerned. NOTE: In any condition, please don’t travel directly from Mumbai to Goa or vice versa on bike. Mumbai – Goa road is a broad SINGLE carriageway and has one of the highest casualty rates in the country. And lastly just as u did in Delhi, try to depart from the cities/towns early in the morning to avoid traffic congestion. Youth hostels are located in Mumbai, Pune, Kolhapur and Bangalore. So Hubli is the only place where u might have to search for an accommodation. In the worst case if you are on a highway and need to camp up, you can pay around a Pound or two to any of the small hotels on the highways (known as ‘dhaba’) and utilize their space. Most of them can also provide u with a bed for an over night halt. How to spot a dhaba or a hotel on highway – You will find large number of trucks & tourist buses making brief halts at these places. There are plenty of them on the above routes. In Gokarna you don’t need a youth hostel since shacks and rooms are easily available near any of the beaches. Rob? Remember her those guys in the badlands in south dakota who gave you the sweet corn ? And loved the surly’s you were riding ? I’d like to talk to you in depth if you’re okay with that thank you.